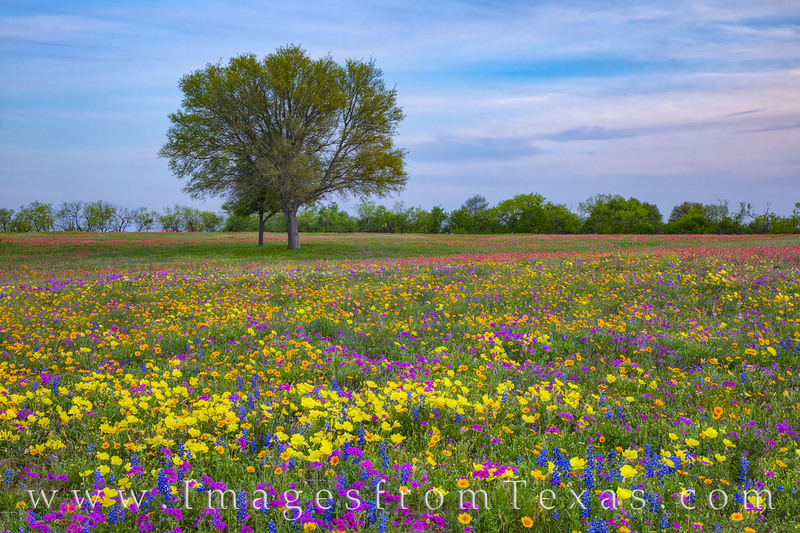 a field of yellow and purple (primrose and phlox) with orange tinted tickseed and coreopsis seems to glow in the late afternoon light in the rural community of New Berlin, Texas. With so much color and vibrance, it was a pleasure to photograph this field. Photo © copyright by Rob Greebon.